And you wanna know why? Because the Volkswagen Atlas exists. We all know the Tiguan is (sorta) new for 2018. But the big news is that they made it longer and you can get a 3rd row. I thought that was kinda cool for what it is. But its not because of the addition of the Atlas to the VW line. 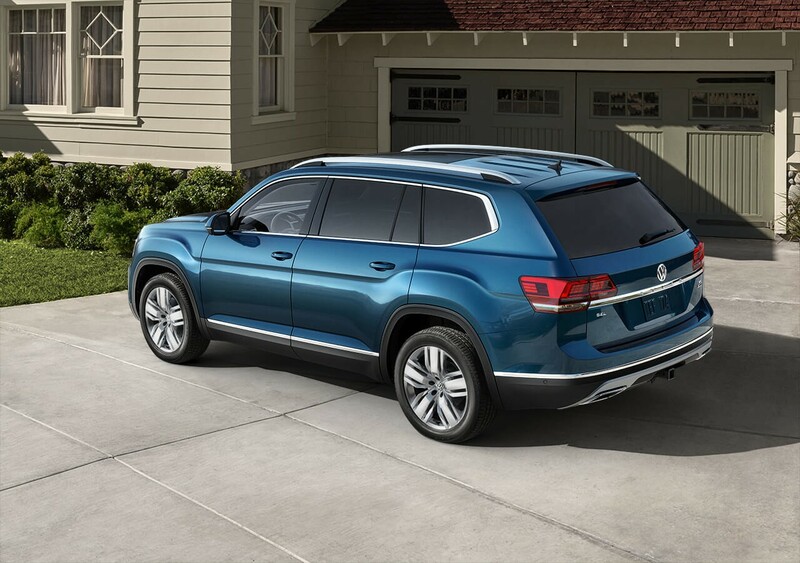 The Atlas pretty much takes the place of the Touareg. Something more affordable but with room. It has a 3rd row and was supposedly designed with the US market in its sights. Its pretty much the superior option if you want room for your family. 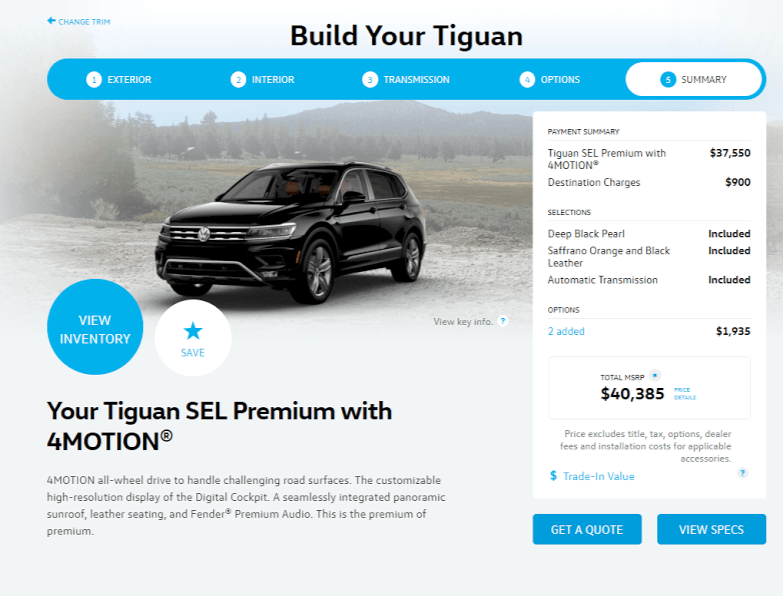 Which brings me to my point: I have a problem with the Tiguan’s pricing compared to the Atlas. Until you look at the Atlas and realize that for just $1095 bucks more, you can have a bigger car with more features and room. In every measurable way the Tiguan is smaller and has what I’m assuming tiny 3rd row. $1095 bucks is worth it for more comfort and space? I would say so. 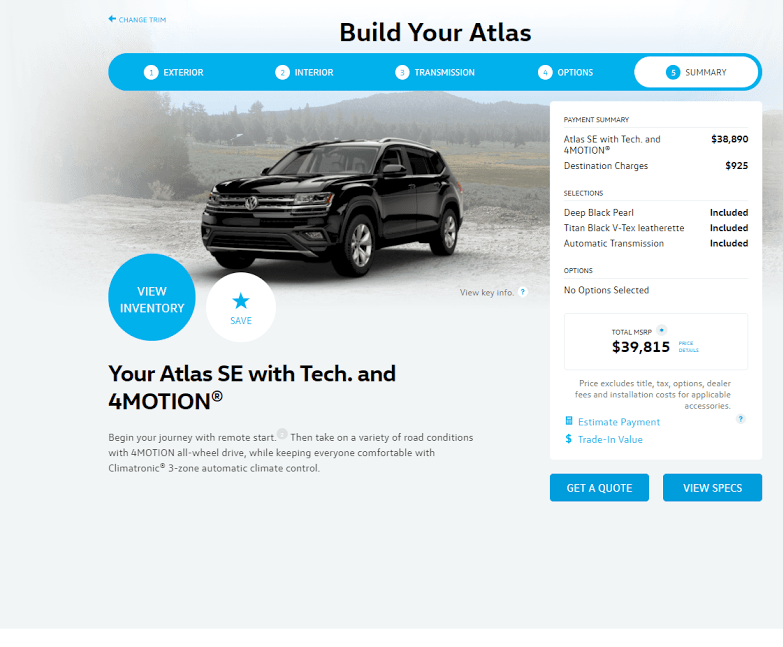 A base Atlas, the S (which according to VW is going to have late availability) with no options is $31,425. You don’t get the 4Motion, but you have a standard bigger 3rd row that you didn’t have to pay extra for. Which for the Atlas would be the $39,815 SE with tech package and 4Motion. It comes pretty nicely equipped, and its actually cheaper than the loaded Tiguan. Honestly though I just don’t think it was a good idea for VW to introduce a new gen of a small crossover with a 3rd row, then price it closely in some instances to a brand new fully loaded 3 row SUV they just introduced. My money would go for the Atlas every time.